Faced with a strong anti-incumbency wave, the Congress managed to bag only 21 seats in the 68-member assembly. 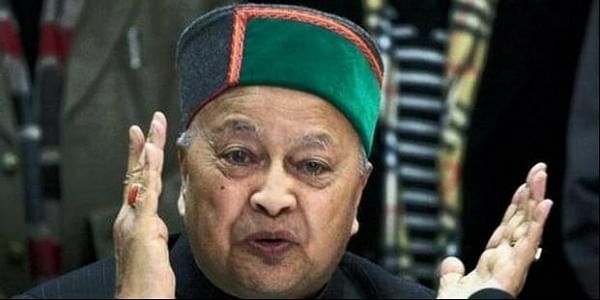 SHIMLA: Himachal Pradesh Chief Minister Virbhadra Singh tendered his resignation to Governor Acharya Devvrat today, a day after his Congress party suffered a drubbing in the assembly polls. The governor accepted the resignation and asked Singh and his cabinet to continue in office till a new government was formed. Faced with a strong anti-incumbency wave, the Congress managed to bag only 21 seats in the 68-member assembly. The BJP won the polls by sweeping 44 seats. The CPI(M) bagged one seat while two seats were won by Independent candidates. A scion of the Rampur-Bushahr royal family, Singh, 83, won for the eighth time in a state Assembly election from Arki, defeating Rattan Singh Pal of the BJP by a margin of 6,051 votes. Singh began his political journey at an early age and became the youngest Lok Sabha member in 1962. He has had a chequered political career spanning 55 years. He served four terms in the lower house of Parliament, the last one between 2009 and 2012. He served six terms as chief minister from 1983, when he first took the oath of office of the chief minister. He replaced Ram Lal as the chief minister of the state in April 1983 and consolidated his hold after going for mid-term assembly polls in 1985 and steered the Congress party to a massive majority. He is the only politician in the state who won the assembly elections from four different constituencies. After becoming the chief minister, he won the by-election from Jubbal and Kotkhai, retained the seat in 1985, won from Rohru in 1990, 1993, 2003 and 2007 and shifted to Shimla (Rural) after Rohru became a reserved seat. He vacated the prestigious Shimla (Rural) seat for his son Vikramaditya and shifted to Arki this election. His wife, Pratibha Singh, also had a stint in politics and was elected to the Lok Sabha twice in 2004 and 2013, but she also faced defeat in 1998 and 2014. Virbhadra Singh's last tenure was mired by allegations of corruption.